How did this collaboration between Barrière and the Maison Dior come about? 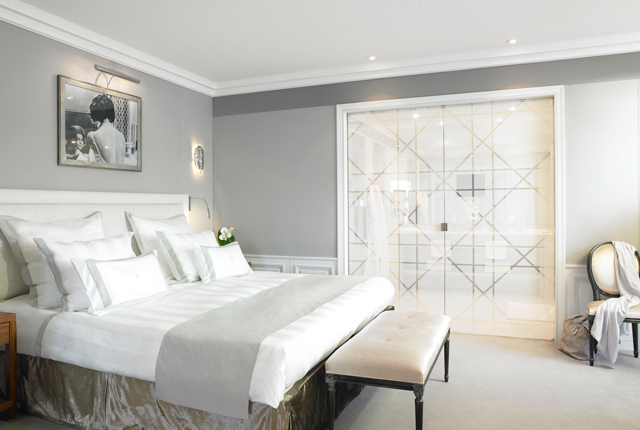 The extraordinary Dior Suite on the 6th floor of the Majestic is the result of a collaboration between Barrière and Dior. For twelve days every year during the Cannes Film Festival the French couturier takes up residence in one of the palatial property's most stunning suites. Here stars come to select their eveningwear just a few hours before climbing the festival's famous steps. These fleeting collaborations gave us the idea of coming together to create a unique suite that combines the inimitable style of Christian Dior and the hotel expertise of the Barrière group. What are guests looking for in the Dior Suite? 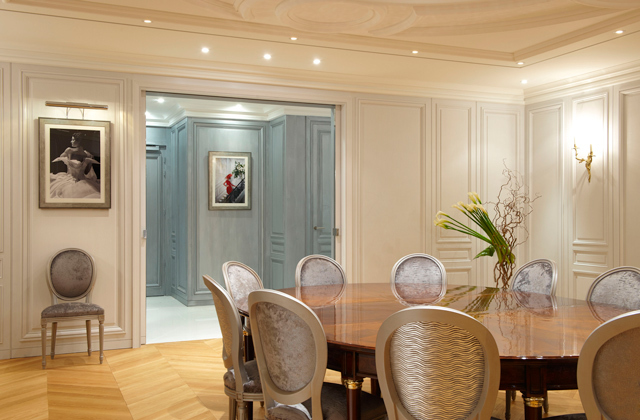 Guests staying in the Dior Suite are seeking all of the hallmarks of traditional French-style elegance. The Christian Dior Penthouse exudes the refined ambience of the designer from whom it takes its name and showcases a rare elegance that is apparent in the tiniest of details: the silk and velvet furnishings, the framed photos and sketches on the walls, the exclusive wellbeing products in the bathrooms, and the embroidered bed linen. IN THE BATHROOMS, THE BEAUTY PRODUCTS FOR BOTH MEN AND WOMEN ARE ALL BY DIOR, AS ARE THE PERFUMES: J'ADORE FOR WOMEN AND SAUVAGE FOR MEN. How would you describe the Dior Suite? Nathalie Ryan, the Parisian label's award-winning interior designer created the design for the penthouse. Expect the decor in the dining room to include stone and Hungarian point parquet flooring, a rotunda that calls to mind the ceiling of the Dior boutique on Avenue Montaigne in Paris, a Louis XVI-style table and grey and silver medallion dining chairs. Then in the lounge, the cushions on the sofa are in the striking red created by Christian Dior himself, showcasing the couturier's famous pleated motif. The suite also has its own home cinema system, a marvel of technology. With their silk and velvet fabrics, photos and sketches on the walls, and embroidered bed linen, the suite's bedrooms are the epitome of haute couture too. There's also Pullman armchairs, cane work-style headboards, as well as a replica of Christian Dior's bureau. In addition, the master bedroom boasts a stunning dressing room created from silver-grey wood. Who stays in the Dior Suite today? Although guests of all nationalities stay in the Dior Suite, it seems that Middle Eastern guests in particular appreciate the suite for its charming Parisian ambience right on the French Riviera. These guests value exceptional service and look for discretion and unique, top-quality accommodation. 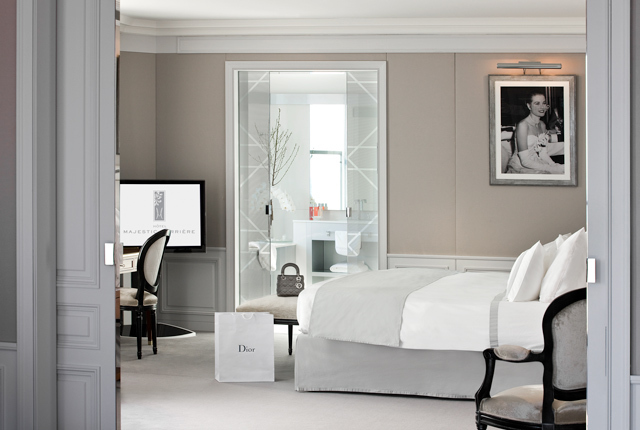 The Dior Suite is also very popular with celebrities, including Robert De Niro, Steven Spielberg and Nicole Kidman. We hear you also have an Arabian inspired savoir-faire plan in place this summer? During the summer in particular, the Majestic adapts its rhythms to suit its Middle Eastern guests by adjusting dinner timings and modifying our restaurant menus so that they appeal to our guests' tastes. We aim to offer them the warmest of welcomes and organise activities especially for them, such as the Arab Film Festival (held in the hotel's delightful private cinema, the Cinémathèque Diane) and various concerts, including a superb, hugely successful performance by the singer, Nancy Ajram. La Plage is also transformed into an open-air theatre with the Mediterranean as a beautiful backdrop. And in the summer of 2017, the "Play" Bar & Restaurant Lounge, very popular already in Dubai, will be offering musical entertainment in the very heart of the hotel! 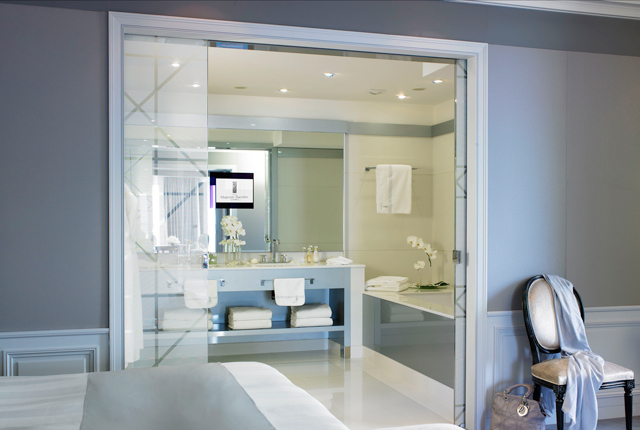 Discover the Dior Suites Cannes this May 17-28, when the Cannes Film Festival takes place.